With the Thanksgiving holiday passed, winter festivities are in full swing and Cincinnati is bursting with entertainment this week! 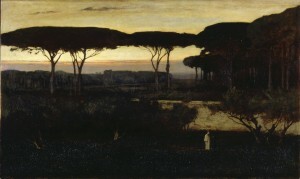 With major shows opening throughout, there are many choices no matter which genre of fine arts you appreciate. 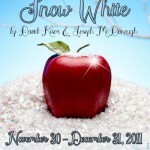 Wednesday begins this week’s events with an incredible opening night performance of Snow White at the Ensemble Theatre. 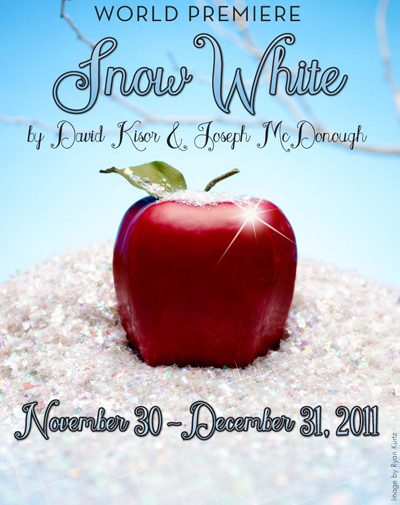 David Kisor and Joseph McDonough bring this classic fairytale to life in a production that runs through December 31st and is suitable for all ages. On Thursday, Playhouse in the Park opens it’s haunting rendition of A Christmas Carol —always a holiday favorite in the tristate! Friday is a night of exciting shows and events that is sure to get anyone into the holiday spirit, beginning with the School for Performing Arts performance of The Nutcracker with additional performances on Saturday and Sunday. Another fun opening on Friday is for the Children’s Theatre’s presentation of Holiday Follies 2011. There is something magical for a child to go downtown during the holiday season—with the windows and buildings decorated with lights and garland, from towering Christmas trees in every window to the trains in the Duke Energy building, visiting the theatre—this wonderful experience should be a memory for everyone! Performances will through this weekend and also December 10-11. Cincinnati Shakespeare will open Love’s Labour’s Lost and will perform Thursday’s through Sundays through December 31. The Cincinnati Symphony Orchestra will also perform Winterscape Friday and Saturday evening. The fantastic performances carry on into Saturday, when the Taft Museum presents The Gift of the Magi. One might believe they hear angels singing when the Cincinnati Choral Society takes center stage at Sharonville United Methodist Church or when MUSE spreads the joy at the annual Ten Thousand Villages Shopping Day Event. Other ongoing events this week include Darren Warren’s fantastic glass sculpture exhibit on the 4th floor of the Cincinnati Art Museum, the production of Abraham Lincoln’s Big Gay Dance Party through December 23 at the Know Theatre, Playhouse in the Park’s Patsy Cline, which runs through January 22, and Antique Christmas at the Taft Museum of Art, a fabulous exploration of decorations and mementos of holidays of old. 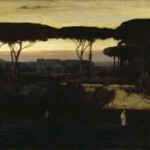 Don’t miss George Inness in Italy at the Taft Art Museum, an incredible exhibition of Italian landscape paintings. Attention all Film Buffs! At the Esquire theatre, the independent films showing today through Thursday are The Decendants(R), Like Crazy (PG13), Martha Marcy May Marlene (R), The Way (PG13), and Midnight in Paris (R). Lastly, check out the Blue Wisp Jazz Club, where people can see different jazz acts almost every night of the week!